Bushfires have caused a road closure near Foleys Rd. UPDATE 2.20PM: Goodwood Road has reopened but firefights are still working to put a few small fires. One fire is burning in a tree that may have to be cut down, the other was started by an ember. 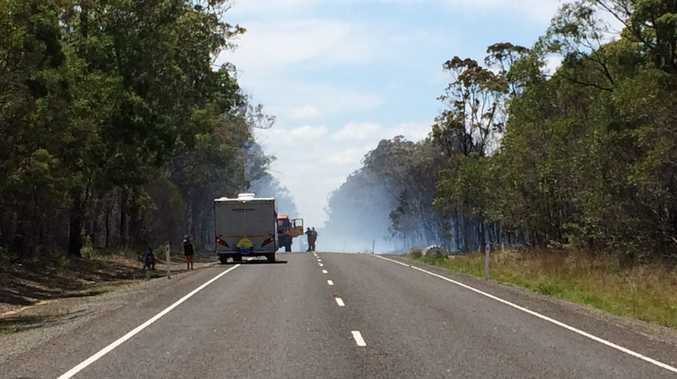 EARLIER: Bundaberg Goodwood Rd near the intersection of Foleys Rd is closed due to bushfires. Delays are expected for about 30 minutes. Motorists are advised to use the alternative route of Childers Rd.